BlackBerry Priv is the first smartphone created by the Canadian company which will be powered by Android and its price will be £579.99 SIM free or £59.99 with a two-year contract. 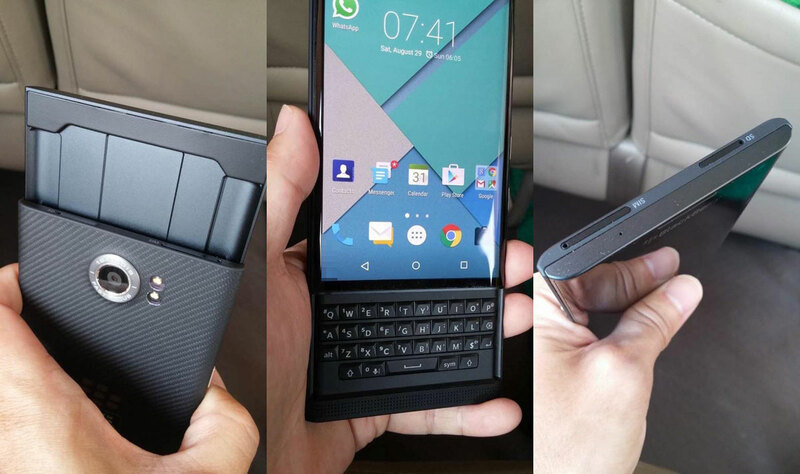 The device comes with an authentic BlackBerry keyboard which is hidden by SmartSlide technology. The company confirmed the existence of the PRIV device a while ago and the representatives admitted that the shift to Android software is the best solution, as this way, the users will be able to make use of the most popular applications which can be downloaded from the Google Play store, including the Google Maps. More about this new phone and its specs you’ll find out below. Initially, BlackBerry’s representatives decided to reveal the specs of the Priv to CNET, “an Android device named after BlackBerry’s heritage”, which benefits from company’s best security and productivity and supports Android for Work on the BES12 platform, which will satisfy a lot of enterprise customers. The BlackBerry Priv was presented by John Chen, CEO of BlackBerry, in video interview with BNN. We’ve seen the sliding physical keyboard in action, which has four rows of keys and it hides under the screen. There is a slider mechanism called SmartSlide which has a speaker grille running across the width, being placed below the keyboard, and on the bottom side, you’ll find the Micro-USB in the middle and the headphone socket and the charging port are located on the far left. Let’s move to the right side of the device, where we’ll find the two buttons which are for the volume rockers and another button in the middle, which activates the notification centre. On the left side seems to be the power button, but there is no fingerprint scanner placed anywhere. Most of the new flagships have it on their backs, below the camera, but the BlackBerry Priv lacks this feature and according to the images, the primary camera is central and has a dual-LED flash. The back is made of plastic with diagonal lines for a better grip. It remains to be seen whether the Priv will actually add useful features to them, or whether they’ll just be curved glass, but at a minimum a leak has revealed that the right curved edge may display the battery level when it’s charging. The BlackBerry Priv sports a 5.4-inch AMOLED screen with curved edges, just like Samsung’s Galaxy S6 Edge, and it supports a resolution of 1440 x 2560 pixels at 540 ppi. We’ll see what features will be added to the edges, or if they will light up when someone is calling the user. 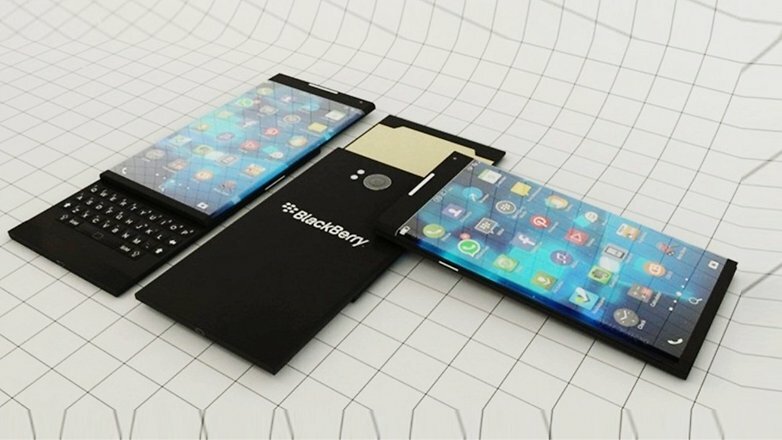 BlackBerry is aware of the overheating issues of the Qualcomm Snapdragon 810 processor and didn’t want to take risks and be criticized by its users, so it opted for the previous 64bit Snapdragon 808 processor clocked at 1.8GHz, which is supported by 3GB of RAM and has an internal memory of 32GB which can be increased up to 200GB with a microSD card slot. According to GSMArena, inside the PRIV will be placed a large battery with a capacity of 3,410mAh, which will be removable and will offer an entire day of life. In addition, the connectivity options include LTE, Bluetooth 4.1 and NFC. GSMArena still claims that the phone will have a 18MP Schneider Kreuznach rear-camera with OIS and 4K video recording capabilities, but the latest tweet from @Ricciolo1, it seems that the production model will come with a 20MP Sony IMX230 sensor likewise the one that was used for the Motorola Moto X Style. We don’t know what to believe anymore, we’ve seen an image of the phone’s back which has the circular Schneider-Kreuznach glare slightly which protrudes and has the dual-LED flash in its right side. As we were saying, the PRIV will run on Android 5.1.1, but it will contain BlackBerry’s security app called BlackBerry Safeguard, which will let you know the security status of your phone. In addition, you will be able to view and edit settings for your installed applications, developer options, trusted websites and many more. The good news is that you’ll have tones of Android applications on the Google Play store, which you’ll download without any problem.